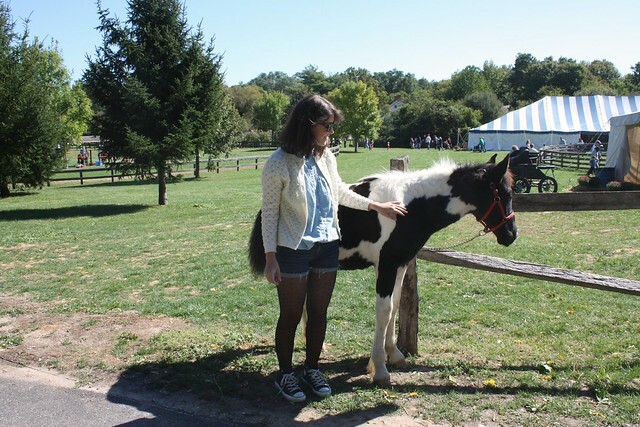 On Saturday I went to the Long Island Fair with my mom where I became friends with a sweet little pony. There are so many pictures from the fair, I will have to share them later! What should we call such a sweet little horse? I didn't find out his name so we'll have to think of a pseudonym for my four-legged friend. I love animals and he's so cute!!!! 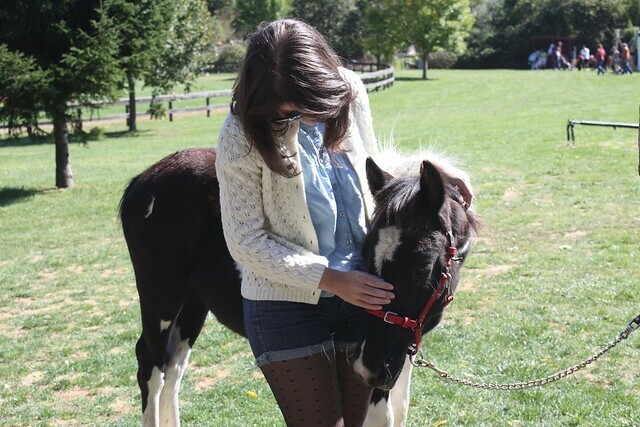 The name could be: Big Horse ;DDDDDDD I adore your vintage sweater!!!!!!!!!!!! Awe, he loves you! I love your outfit, perfect for a fair! Oh my! There is nothing cuter than that little babe! love the vintage sweater !!! your outfit looks very cozy and stylish. yay for LI! Yes, I spent many summers up there at Pebble Beach picking strawberries and hanging with the family. Mom is from NYC (I was born in NJ)... but I say "maaa" like I grew up there :) I am totally getting style pointers right now for cooler weather since, I only have a handfull of things, esp living here in FL. 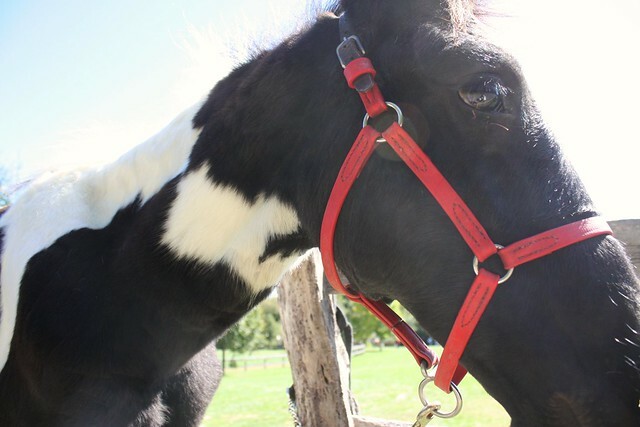 the horse is sooo cuttee!!! and I love your pattern tights with converse!!!! enjoying your blog!!!! following you by the way! such adorable photos! you pulled the pieces so well! And also: If i had a pony i would name her Tavi after the Style Rookie. haha.